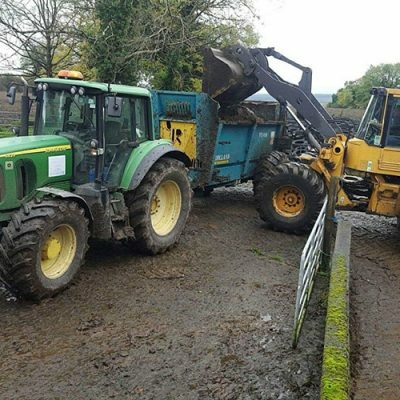 Mixtec TMS Ltd manufactures Mixtec diet feeders and slurry equipment which are tailor-made to suit your farm. 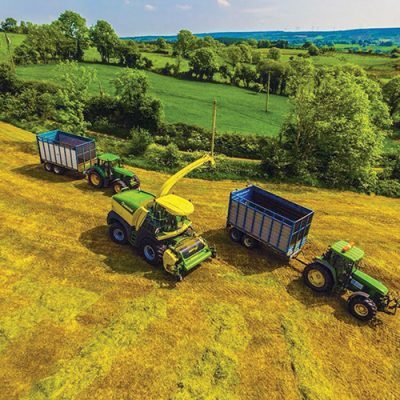 Established in 2002, the Co. Tyrone-based company has gone from strength to strength and now boasts customers in every county of Ireland. 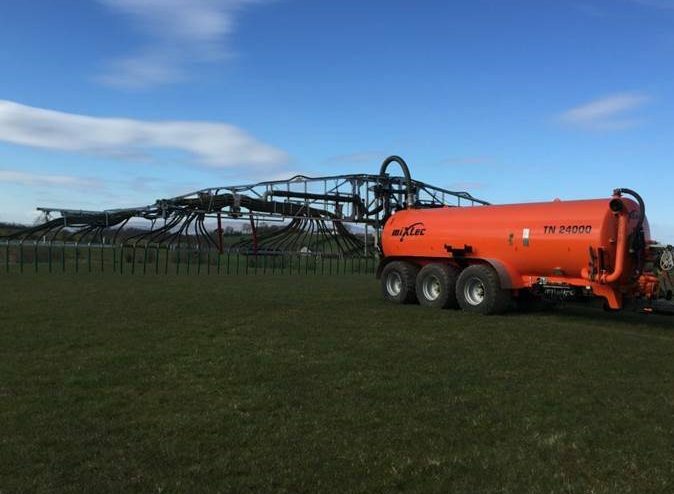 In the market for a diet feeder or slurry tanker to suit your specific needs? If so, look no further than Mixtec TMS (Tailored Management Systems) Ltd, which is the number one manufacturer of tailor-made diet feeders and slurry tankers in the country. 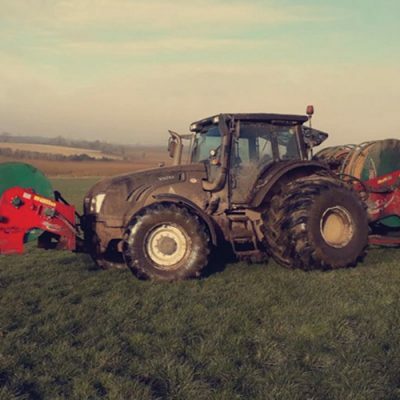 Based in Sixmilecross near Omagh, Mixtec TMS Ltd manufactures a range of diet feeders, slurry tankers, trailing shoes and dribble bars of all sizes and specifications. Since making his first diet feeder in 2002, owner Peter Johnston has seen his business flourish thanks to the quality, strength, reliability, simplicity and uniqueness of his products. “No two farms are the same when it comes to diet feeders and what’s required of them,” he points out. “When a standard diet feeder or slurry tanker isn’t suited to a particular farm, that’s where our expertise comes in. Our products are built-to-order to suit your farm. 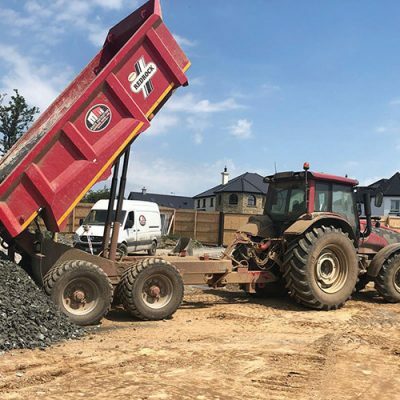 We design and manufacture at our purpose-built facility in Sixmilecross a high-quality range of products in all sizes and specifications which have Mixtec superior build, quality and design standard. We don’t skimp on material – all of our machines are built to last and come with a warranty for peace of mind. Our diet feeders hold up well against any in the world and are competitively priced in the marketplace. 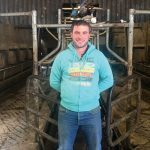 Having initially supplied his products through farm machinery dealers, Peter now supplies them directly to the customer as he finds it more beneficial for him and the client. “We like to be able to deal directly with the customer rather than go through a dealer. It gives us a better feel for what they want and cuts outs out the need for a middle man,” he says. There are three types of diet feeders in the Mixtec TMS range. The Single Augur Diet Feeder ranges in size from 8m3 to 15m3, the Twin Augur Diet Feeder ranges from 12m3 to 28m3 and the Triple Augur Diet Feeder is from 25m3 upwards. Features includes a two-speed gearbox, wide-angle PTO shaft with sheer pin protection, heavy duty gearbox and support unit, low horsepower requirement, guaranteed restart when full direct operation by tractor hydraulics and adjustable draw bar. Furthermore, Mixtec TMS Ltd’s unique augur design produces a faster and better mix, while the knives are mounted on 15mm steel plate brackets for added strength. The feeders are designed to handle all types of feed efficiently to produce a top-quality mix with the end result for the farmer being improved liveweight gain, improved ration quality and control, enhanced animal health, fertility and longevity, improved milk quality, higher milk yield as well as reduced labour. Mixtec TMS Ltd has been manufacturing slurry tankers for over a decade. Standard features on all Mixtec tankers are 6mm barrel and dished ends welded internally and externally with anti-closure rings; 8mm plate welded internally on recessed wheel arches; 8mm folded full length double chassis; 20mm drawbar plates; 8mm folded drawbar; full commercial axle; large stone trap with lower outlet to allow complete emptying of tanker; sprung draw bar; four ports c/w two manual quick release fill points; 15ft suction hose; low overall height to give better stability. 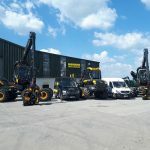 Optional extras include larger vacuum pumps; hydraulic changeover; larger wheels; auto fill arm; top fill hatch 50mm wash down; inlet chopper; trailing shoe brackets c/w pipe work; dribble bars; wide angle PTO shaft and over-hedge boom. Mixtec TMS Ltd is essentially a family-run business with Peter being joined by his brothers James and Wesley, sister Sandra, father Ian and mother Rosemary. The company employs 10 staff in total. “I’m fortunate to have a good team around me who are involved in the design, manufacture and painting of our product range. They have played a big part in our growth and success to date. I would also like to take this opportunity to thank our customers for their continued loyalty and support. 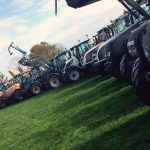 We are committed to building the best product on the market to suit our customers’ exact requirements and to providing them with a back-up service which is second to none,” the affable farm machinery engineer concludes.